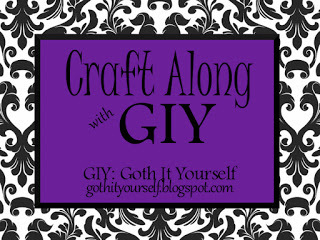 This month crafting theme this Month It takes two from Bane at Goth It Yourself. It is about either crafting or upcycling in two's or in a pairs. This month's project is a spray paint makeover of two cherubs I found in Poundland. I've been trying out the cheap car spray paint and surprisingly, so far it's worked amazingly. 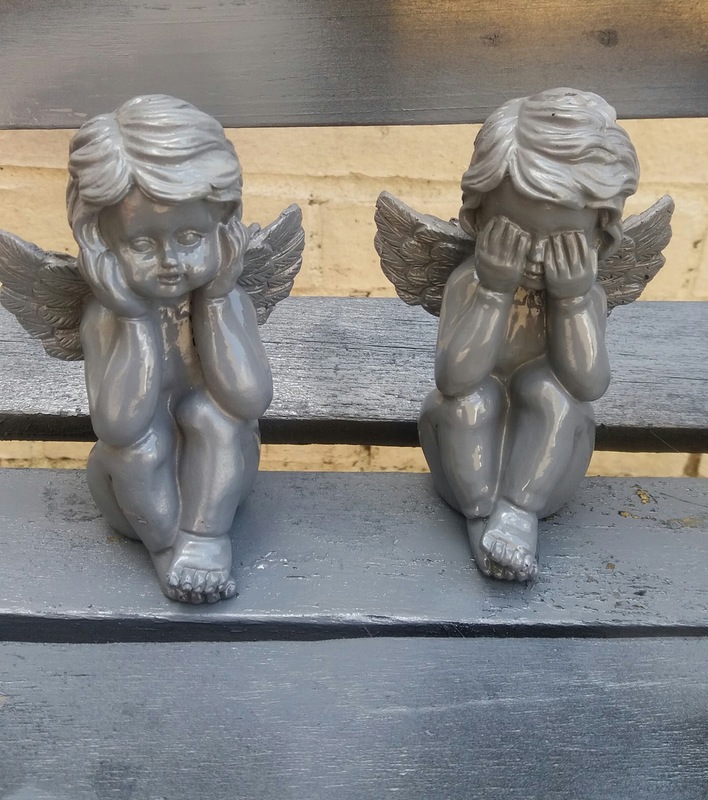 I used a grey primer that turned them into the unholy offspring of the Angels from Dr Who, I was planning to keep them grey. I think my concept was based on when Lucifer rebelled against God and his supporter angels were thrown from heaven and cast into hell. 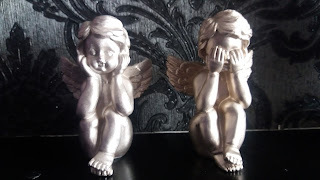 I think the cherubs look as they were part of Lucifiers army and the angel candle look as though it depicts the tale. 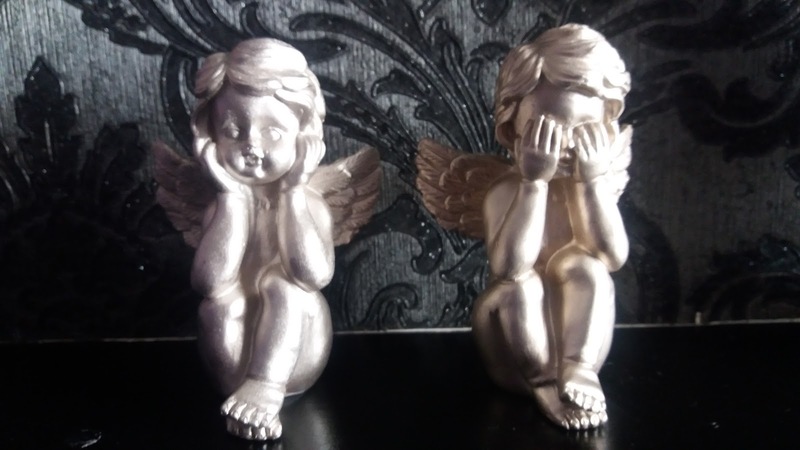 Above I have a picture of cherubs that look as though they are mourning for the fallen cherubs. That's really interesting I never knew that Perkele meant devil I like it sound of it. It sounds far more interning than the Devil. Yes. It's also a personal joke, about me as my partner thinks I don't listen to him or see things when I drop them. Thanks I love satin paint as gives a lovely sheen but it's not shinny as gloss. Very nice! Spray paint is great, isn't it. So easy to turn something ordinary into something special! I'm a huge advocate of spray paint. I owe to Bane who showed me the magic of black of spray paint. That's nice! And it remained me of Anatole France's book The Revolt of the Angels. I highly recommend reading it if you haven't. It tells about angels that follow banished Lucifer and rise against their god. Lucifer is the true hero of the story. It was written nearly 100 years ago, so language is quite colorful in places and it's lots of fun! That was my concept.I haven't heard of the book but I read various passages similar to it.. Thanks for recommending it to me I shall read it at some point. I always questioned if Lucifer was really as evil as Abrahamic religions have claimed. Then again it's an interesting storey. Black cherubs! :D Good idea! Love it all!!!! Great job Sarah! !